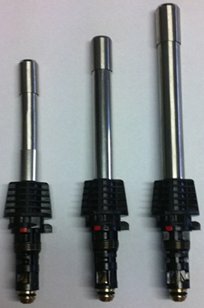 PVT474: Vulcane Brazing Torch – Suitable Heat for 14mm piping. 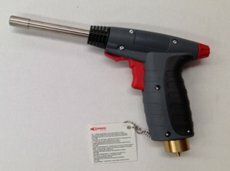 PVT478: Vulcane Brazing Torch – Suitable Heat for 28mm piping. 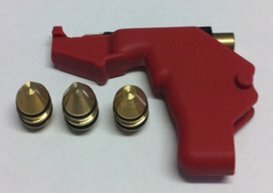 PVT5450: Premium Stop Flame 200mm x 250mm superb anti flame properties that will not ignite or conduct heat. 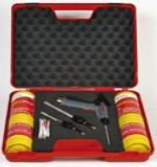 PVT 471XPC: Pro Torch Set + 3 nozzles + 2 Mapp gas cylinders in case.